As an independent or boutique hotelier, you may feel like a very little fish in a very big, densely populated pond. Worries of the disadvantages of a smaller budget, lack of resources or an unknown brand may plague you as you contemplate your approach to independent hotel marketing. But it’s not all set backs and insurmountable challenges. Focus on the specific qualities that make your property unique and capitalize on the opportunities available to you as an independent hotel; the agility and flexibility to change quickly without having to go through corporate channels, the ability to provide individual attention, connect with guests personally, provide authentic experiences and engage with the local community. With these advantages in mind, you’re primed to start your independent hotel marketing journey. In this post, I’ll outline a number of considerations to get you started. 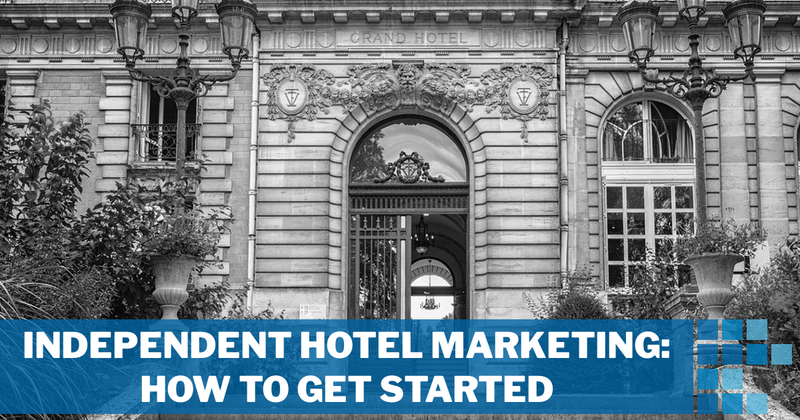 Where to Start with Your Independent Hotel Marketing? You’ve decided that relying on word-of-mouth, TripAdvisor and online travel agencies is not going to support the growth and goals you have for your hotel. It’s time to start telling the world about the unique qualities that distinguish your property from the thousands of others. But where do you start when it comes to marketing your independent hotel? Marketing is so multi-faceted that it’s easy to feel lost. An overwhelming number of options present themselves when deciding how to market your hotel, from advertising through traditional methods to engaging with audiences via digital platforms. Developing a solid boutique hotel marketing strategy will guide your decision making, ensuring that any marketing avenues you choose to explore will bring you closer to achieving your marketing, and overall business, goals. Understand your audience through the collection of qualitative and quantitative data and interpretation of customer goals. Conduct a business analysis, using the SWOT methodology, to define your unique value proposition and evaluate current marketing efforts. Define goals that are SMART, align with greater business goals, and consider short and long term objectives. Begin planning by determining which types of marketing generate the most effective and profitable attention for your hotel. I’ve discussed each of these four steps in depth in my post How to Develop a Winning Boutique Hotel Marketing Strategy. Creating a strategy helps you to understand the motivation and goals behind your independent hotel marketing. 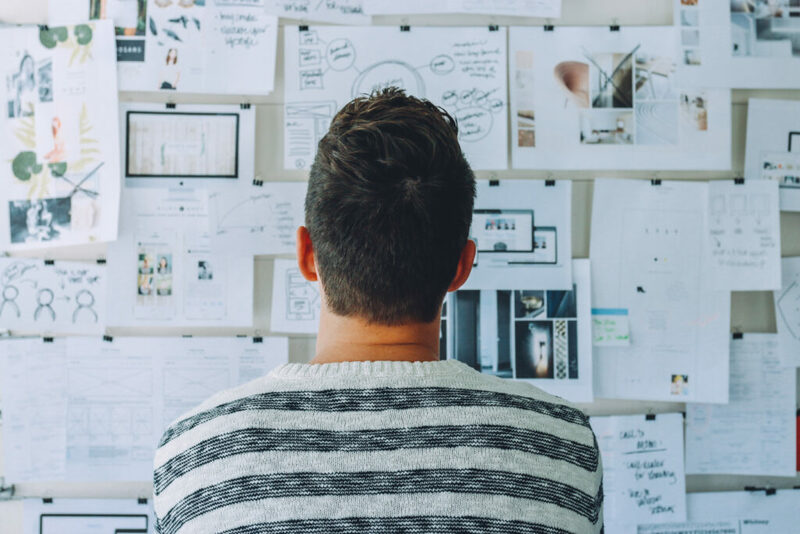 By researching your audience, analyzing your business and setting your goals, you develop a comprehensive understanding of exactly what you want to achieve from marketing – and why. Too often businesses are focused on the how before truly understanding their objectives and why they want to achieve them. This can result in misguided decision making and inefficient use of resources and budget as they experiment with whichever ideas and approaches are attracting their attention at the time. Your marketing strategy will remove the noise and focus your marketing efforts. After your strategy, it’s time to devise your boutique hotel marketing plan. Your plan is your strategy in action; helping you to formalize ideas, determine budget, focus efforts and achieve goals. Select specific marketing platforms to engage with your target audience, reaching potential guests at each point in their buyer’s journey. Budget your plan to determine which tactics you can afford to implement and how to best spend your marketing dollars for the greatest return. Schedule your marketing activities and plan specific dates to publish, monitor and review, and measure goal achievement. Measure your marketing efforts, using a combination of ROI and other metrics for a holistic view. Review your marketing plan, keeping in mind that it is a working document that should be revised regularly to ensure its contents are meeting goals or could be replaced with newer, more effective approaches. Read more on each of these steps in my post, 5 Steps to Creating a Boutique Hotel Marketing Plan, and then use our free boutique hotel marketing plan template to structure your plan. Within your overall independent hotel marketing, you will want to create unique campaigns that highlight specific deals, communicate certain brand messages or target focused audiences. You can’t be all things to all people, and neither can your marketing. Is the best combination of platforms to most effectively communicate your message. The key when deciding on the right mix for your individual marketing campaigns. If you’ve made it this far, you might be feeling like you don’t have the time, resources or budget to make this happen. Perhaps, with myriad of other things you have vying for your attention, you decide it is best to outsource your independent hotel marketing. Before you commit to working with the first marketing agency to take you out for lunch, propose the cheapest pricing, or have the flashiest website, there are several important considerations you need to make. Have an understanding of what you aim to achieve through marketing. With goals in mind, you can communicate your marketing wants to agencies under consideration and discuss how they can make those goals happen. Think about the type of marketing you want for your hotel. 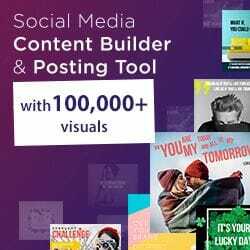 Depending on your goals, budget, target audience and the messaging of your marketing, one or more marketing platforms may be more suitable for your hotel. Different agencies will specialize in different aspects of marketing, or may only provide specific services, so you’ll want to choose the right team for the job. If you’re unsure of where to start, speak with a variety of agencies offering different services and compare the strategies they suggest and the outcomes they can deliver. Keep in mind your goals and brand messaging – do you feel the style of marketing being suggested is a good fit? Consider how much you are willing to spend. As digital marketers for boutique hotels, we understand that budgets can be limited. While we don’t advocate that you base your marketing decisions on price alone, it is important to have a price range in mind when comparing marketing agencies and services. Communicate your intended spend so that prospects can pitch within your budget. There’s always scope to make suggestions for what a little extra will get you, and you’ll avoid the disappointment of having an outstanding full service package presented – only to discover it will cost double what you can afford. Remember, not all marketing agencies are created equal. Preparation is essential when comparing marketing services and those who provide them. In addition to giving some thought to the considerations above, having a list of questions will help you to find the right team to implement your independent hotel marketing. Check out our post, 7 Questions for Your Hotel Internet Marketing Consultant, for more information. A structured, carefully planned approach to marketing helps you to stay focused within your marketing efforts. Goals and a deep understanding of your messaging should be the guiding forces behind your decision-making, helping to design and implement successful campaigns that stay true to your hotel’s brand while meeting the objectives you set to achieve. Whether you’re just getting started, or looking to supplement your current independent hotel marketing with some additional services, we’d be happy to talk. Contact us to discover how we can work together to make your digital marketing goals a reality.